Established in 1994 with the historic first filmed fellwalk To the Roof of England ( Scafell Pike from Seathwaite, Borrowdale ), Hillwalks on Video have since released over 30 titles UK-wide, creating and establishing a popular new genre in outdoor film-making. Featuring top-notch videography by film-maker Michael Lakey ARPS, of glorious mountain scenery in rare clear conditions and taken from the hill walker’s perspective with progressively unfolding vistas of surrounding fells and features found en route, right down to the rippling brooks, lichen-patterned rocks and mountain flora & fauna. All summit cairns are recorded along with accompanying majestic vistas and panoramas. 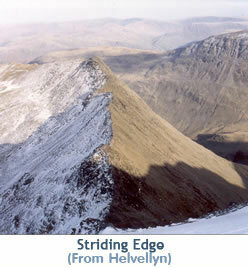 Our unique “walker’s eye-view” style of first person mountain filming, along with ambient sounds of the hills present at time of recording, give a distinct impression of “being there”, re-capturing the hillwalking experience – the fell tops having remained the same over many hundreds of years. Unlike some hillwalking DVDs which offer only occasional snippets of information, the names, compass positions and spot heights of all prominent surrounding hills along with local history are given, in the form of brief subtitles and authoritative yet unimposing commentary. 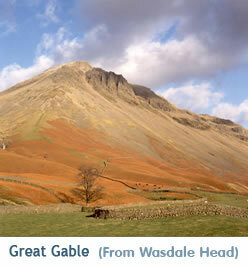 A detailed map or on-video illustrated Harvey map to each walk completes the information package, making our genre-creating DVDs among the most important new contributions to UK hill-walking since the launch of the Wainwright guidebooks, being ideal planners for, or mementos of, happy days in the fells. Although they say imitation is the sincerest form of flattery, the imitation can often be of inferior quality to the original. Many other hill-walking DVDs, whilst marketed with solemn promises of quality; upon purchase turn out to contain long sections of dreary and disappointing footage taken in rain, low light, mist, or heat haze; restricting or even obliterating views of neighbouring fells. Hillwalks on Video’s dedication to professionalism and customer satisfaction guarantees clear views to surrounding hills on all our titles, having been painstakingly shot in fine, clear, bright and often sunny conditions throughout – some walks having being attempted two or three times before the good light quality and visibility we demand, were present.